When it comes to industrial refrigeration, reliability is critical to maintain business operation with minimal downtime. That’s why you need an industrial refrigeration contractor for your business that you can rely on for installation, system repairs, tune-ups and preventative maintenance. Our industrial HVAC technicians are experienced refrigeration mechanics that can work with any type of industrial equipment that comes their way. Enertia HVAC/R employs professional experts with the proper experience and training required for all types of industrial refrigeration service work. No matter what type or size business you manage, we can help you with all of your refrigeration installation, service and repair jobs. Enertia HVAC/R currently holds an Environmental & Refrigeration “combo” license which allows us to work residential and commercial HVAC systems along with Refrigeration systems. We provide industrial and commercial refrigeration services to businesses throughout Collin County and DFW Metroplex area – Plano, Dallas, Forth Worth and beyond. The industrial refrigeration team at Enertia consistently meets exceptional demands that you can rely on for critical processes. 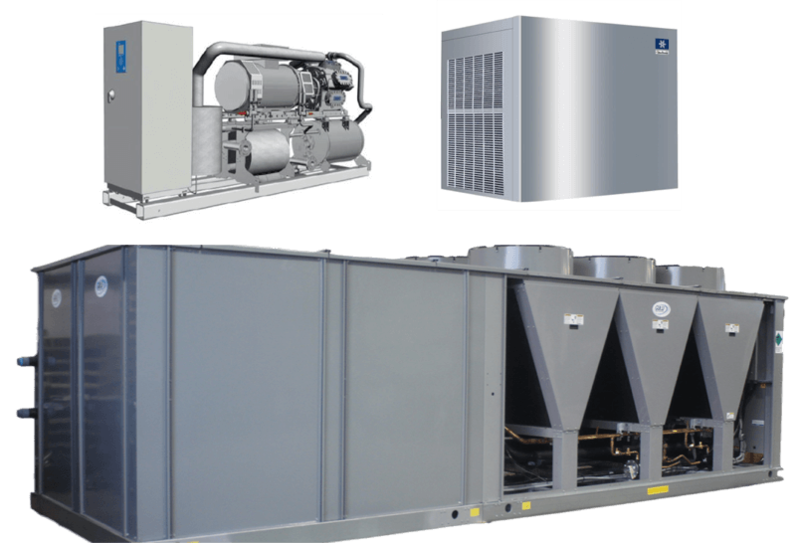 Enertia HVAC/R has established itself as a leader in the industrial refrigeration market in Texas. With years of hard work on countless projects for a wide variety of clients, we have the experience that your business needs to deliver. Our team provides all types of refrigeration and HVAC services including installation, service, repair and maintenance. Our professionals offer a firm dedication to completing the job in an efficient and safe manner. This has not gone unnoticed by our rapidly expanding list of regular customers and we would love to partner with you as well. If you are in need of industrial refrigeration services, then look no further than Enertia HVAC/R—a name you can trust in the industry. We also offer preventative maintenance plans for peace of mind. You can add some peace of mind knowing that your refrigeration equipment is in proper working order. Our HVAC/R technicians stay abreast of changes in technology and equipment to better serve our customers. Our team of Industrial HVAC/R professionals serve Plano, Dallas, Fort Worth and the surrounding area.